The bottom line on the 2018 Mazda6 is that you can get a top-trim vehicle that will rival or exceed the European premium brands in every way for about the starting price of a BMW 3-series or Audi A4. In general, midsize sedans are divided into premium brands and economy brands. Mazda has lately been bridging the gap between basic transportation and upscale performance. 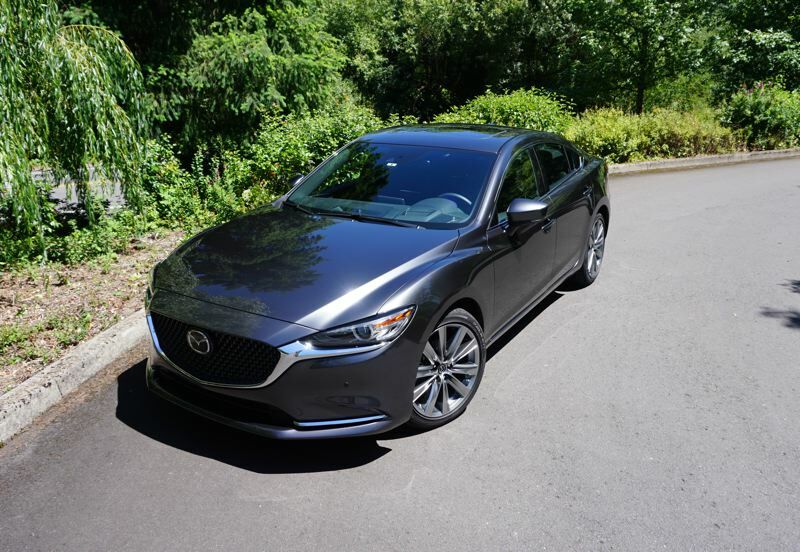 The 2018 Mazda6 midsize sedan has a new turbocharged engine and a new Signature luxury trim level that delivers "Mazda Premium" luxury at an economy car price point. The basic Mazda6 can be purchased for as little as $23,895, and at that price, it's the best-handling midsize economy sedan on the market. The basic Mazda6 delivers 187 horsepower from a naturally aspirated 4-cylinder engine. For 2018, Mazda added a turbocharged option, boosting output to 250 horsepower and 310 pound-feet of torque. The turbo engine is available starting at $30,095 in the Grand Touring Trim, and you can upgrade to Grand Touring Reserve or Signature Trim from there. The turbocharged engine is mated to a 6-speed automatic transmission. There is a 6-speed manual option, but only in the base trim. The Mazda6 drives the front wheels only, but offers handling more akin to other automakers' all-wheel-drive cars due to Mazda's innovative G-Vectoring Control system. As you turn the steering wheel, the G-Vectoring technology adjusts engine torque to shift a little more weight onto the front wheels. That gives you a more solid, confident feeling as the car turns. This is especially true when you're on wet pavement or any slippery surface. Driving the turbocharged Mazda6 feels like you're in a premium European sedan. There's plenty of well-controlled power available and the car is smooth and quiet. Mazda redesigned the seats in the Mazda6 for greater support and comfort, and they're delightful. 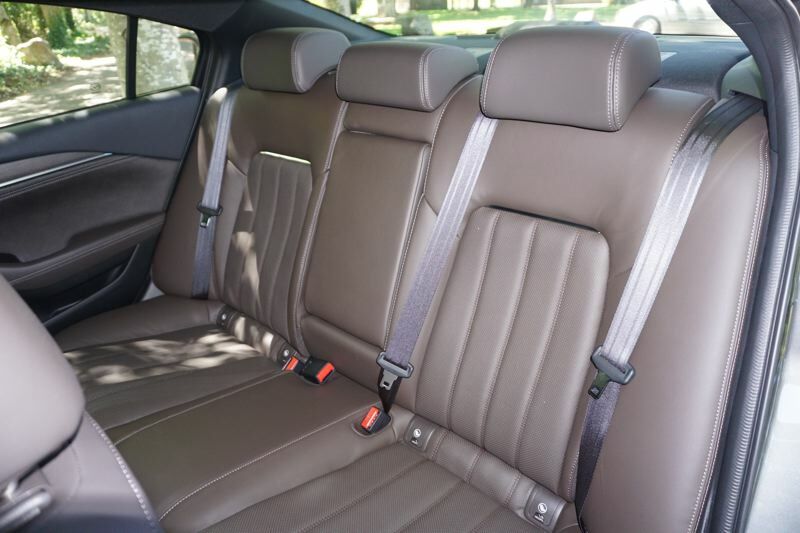 The Grand Touring Reserve and Signature trim levels complete the package with heat and ventilation for the front seats and heat for the rear seats. You'll also enjoy a heated steering wheel in the top trims. 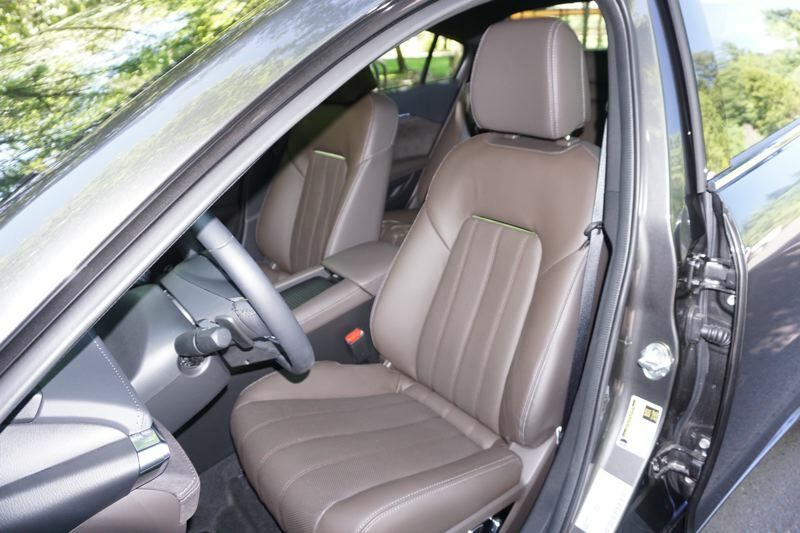 Looking around the cabin, you'll notice that the steering wheel leather is hand-stitched, the seat leather is smooth and soft, and Mazda has chosen traditional Japanese Sen wood accents. Everything is premium quality. 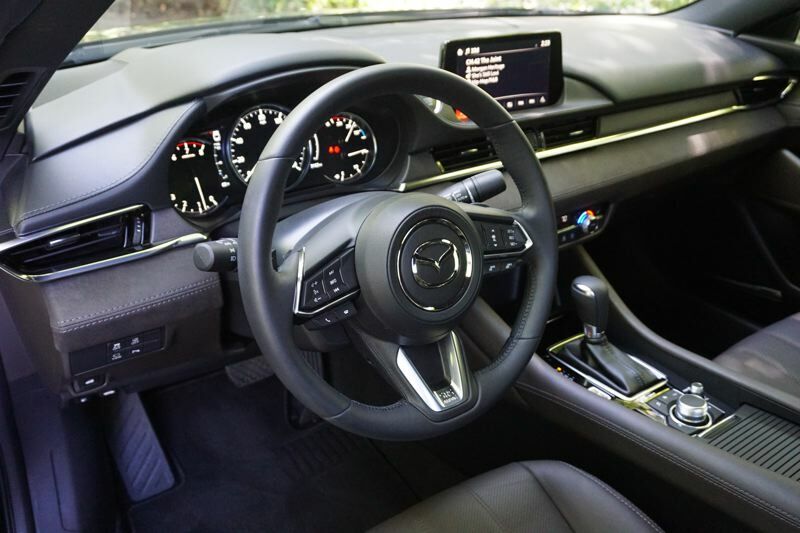 The tech picture is also upgraded in the top trims, with a head-up display on the windshield and a new Mazda Connect infotainment system featuring an 8-inch color touchscreen display, and the traditional dial-and-click interface on the console. A mult-view backup and parking camera gives you a bird's eye view as well as forward and back-facing camera angles. The bottom line on the 2018 Mazda6 is that you can get a top-trim vehicle that will rival or exceed the European premium brands in every way for about the starting price of a BMW 3-series or Audi A4. If you find that hard to believe, I suggest you take a test drive and experience the 2018 Mazda6 for yourself.